A completely free advanced modeling tool set for building animated 3D models and editing existing content for game development and art. Shade 3D for Unity is based on the professional 3D modeling, animation and rendering tool set Shade, a product available for over 27 years and used worldwide by 3d professionals. 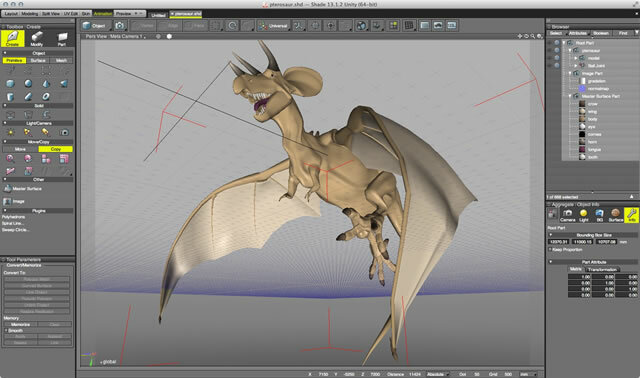 Shade 3D for Unity enables designers and game developers to build animated project content that integrates with Unity 3D, the game development system for Windows, Mac OS X, iOS, Android and other devices.